Samsung introduced a new DRAM package this morning, hopefully to be seen in a number of upcoming devices. The package is an “industry first,” with 8GB of LPDDR4 mobile DRAM, utilizing four of the latest 16Gb LPDDR4 memory chips and advanced 10nm-class (nanometer) process technology. To put that in the most simple form, it’s very fast and in a very small package. According to Samsung, the intro of this package will allow mobile device makers to create even thinner devices, while not sacrificing power consumption or performance. In Samsung’s testing, the 8GB LPDDR4 DRAM provided much more efficient power consumption thanks to the 10nm-class process technology, as well as Samsung’s proprietary low-power circuit design. This circuit design enables the memory chip to double the capacity of Samsung’s 20nm-class 4GB DRAM package, while consuming about the same amount of power. As for the speeds we can expect, the DRAM operates at up to 4,266Mbps per second, twice as fast as DDR4 DRAM for PCs, according to Samsung. 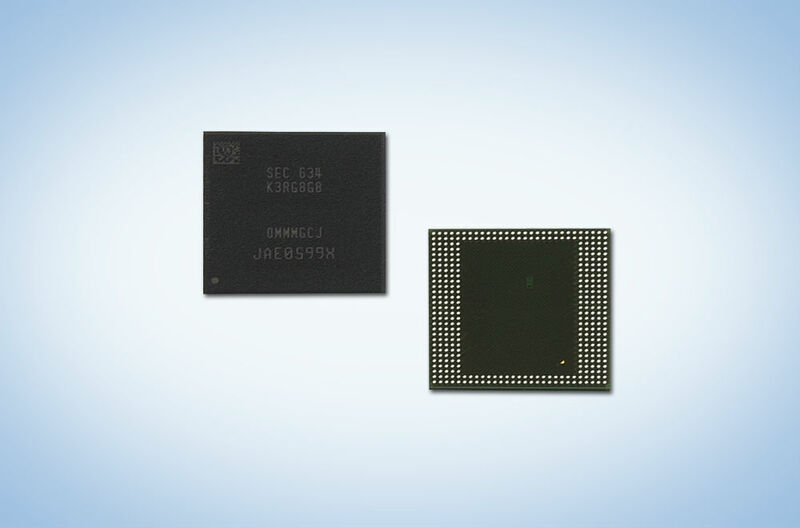 “Assuming a 64-bit (x64) wide memory bus, this can be viewed as transmitting over 34GBs of data per second,” Samsung detailed. When can we expect it, though? Our best guess would have to be for next year’s Galaxy S8. Considering we are still early enough in that phone’s development stage, it’s certainly a possibility.